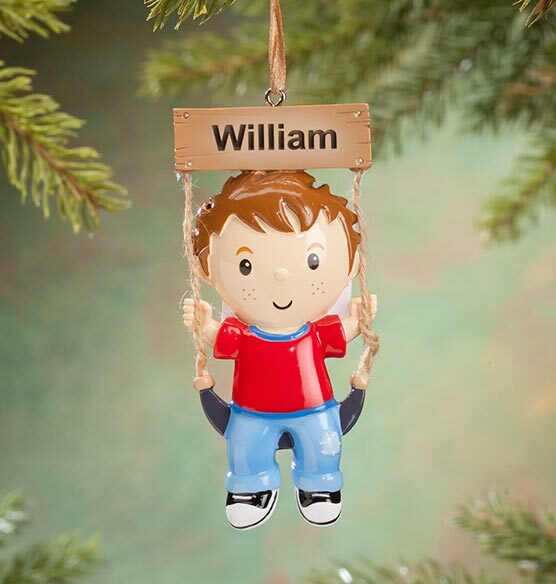 Celebrating that back-and-forth magic of soaring high, flying low, pumping and jumping off an old-fashioned swing, this Personalized Child on Swing Ornament is a holiday classic! 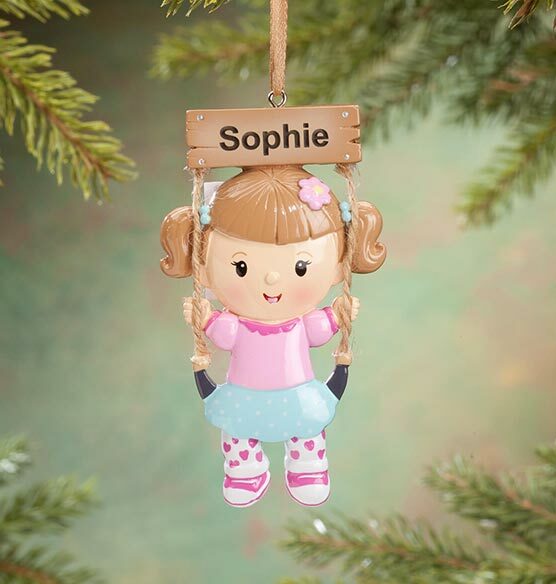 Adorably detailed with a real string rope, it is a fun way to honor your child's favorite pastime or announce a swing set from Santa. 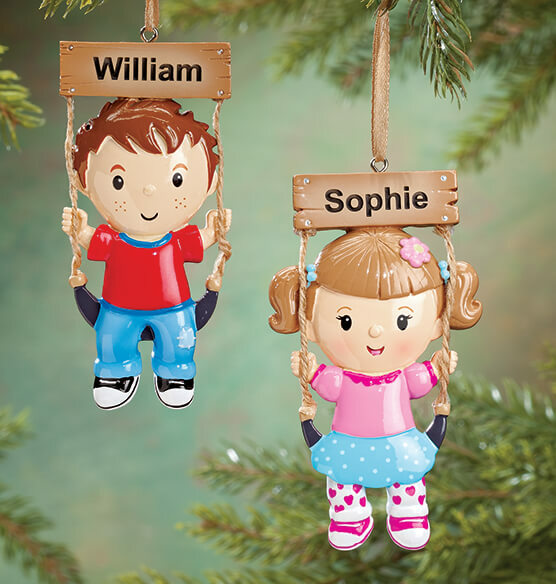 Featuring a boy or girl "rider", our Christmas ornament will be personalized for added fun. Specify style: boy or girl. Specify name; limit 1 line, 10 letters/spaces. Resin. Boy: 1 3/4" wide x 3 7/8" high. Girl: 1 1/4" wide x 4" high. Personalized Boy , Plain Boy are not available at this time. can you put the date on this ornament? BEST ANSWER: Thank you for your question. We do not put a date on this ornament. We hope this information will be of help to you.